“NYC of Time,” the second track on Giant Sand’s 2004 offering, Is All Over the Map, pays homage to the resilience of New York City and delivers a deeply felt encouraging word to all who were affected by the devastation of September 11. 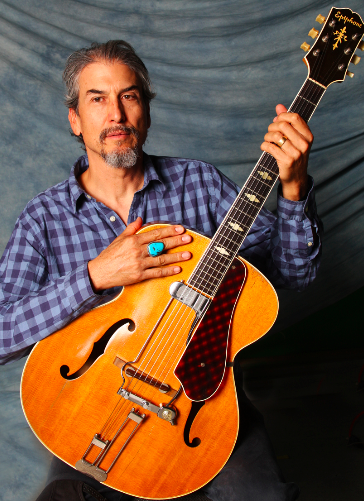 Now based in Tucson, Arizona, Giant Sand’s front man Howe Gelb is no stranger to The Big Apple. I interviewed him recently about the city, the song and the events of ten years ago. Howe is both a poet and an innovator, and as such desires that the language used to represent him be rendered precisely in his own in cadence, tempo, beat and pause. This interview was conducted via e-mail, Howe typed his answers exactly the way he wants them to appear and requested that they be provided here sans capital letters. I am honored to abide by his requests. Frances: You lived in New York City not one but three decades ago, when you were heading up your first band, Giant Sandworms. What was your experience like and what do you remember most about living and playing there? Howe: i lived there in 1981 in the lower east side with my band for a year when living there was a daily danger. it was like a city attacking itself back then, but it always made more sense somehow than any other violent place. that time there lent itself in a way that made everywhere i’ve ever been since, easy by comparison. it was a training grounds to survive the time there then with our fledging band. adventures like being mugged and playing cbgb’s and wandering the streets all night became part of strength and fiber needed for continuance in me. i loved the time spent there then, no matter how tough it was, now only respect the place more since that day 10 years ago that dared to show what its people are made of and how to deal with horrors beyond anyone’s imagination. Frances: One of the most compelling tunes on Is All Over the Map, “NYC of Time” makes the acronym “NYC” into the word “nick,” as in a cut, scratch, gash or dent – and as in the adage “in the nick of time.” Its climax contains the ironic yet triumphant line, “New York, there’s more to you now that something isn’t there,” which I take to be a direct reference to the city’s way of coping with the tragedy of September 11, 2001. Howe: of course it is. the horror of that day was of biblical proportions. we as a species deal with it and continue finding ways to fall in love and live on no matter the consequences of this existence. new york being as intense as it always has been is probably the only place on earth to take it on the chin and continue to be even greater than before. it’s like what happens to martyrs; they become more powerful after their destruction. Frances: How do you feel looking back to 10 years ago and how do you hope people who hear the song “NYC of Time” will interpret what I and many of your fans consider a bright, powerful and uplifting tribute? Howe: i still say prayers for those that were on those planes. to envision them in that ordeal and send them the kind of thoughts and real energy from this life in hopes of some connection and embrace beyond this place. especially the mothers and children and the words they must have spoken to comfort each other in those final moments. the babies and the mothers on those planes, how they embraced each other in a way of representing the best quality of us as a species and the love that binds more than anything. then to all the countless people from such immensely varied cultures in the towers that only new york could ever accumulate, and how they then had to cope with their final moments and plunge into the next world with such conviction they never knew they had in them until that moment. the song “nyc of time” pales by any comparison, but its thrust is there to help move it all ahead to a better time and place, and a dance to get us there. see it shine. see it shine. 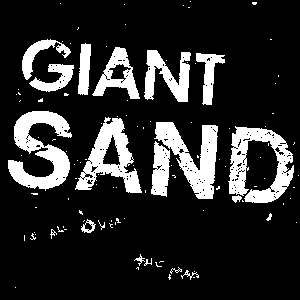 Learn more about Howe Gelb and Giant Sand here. 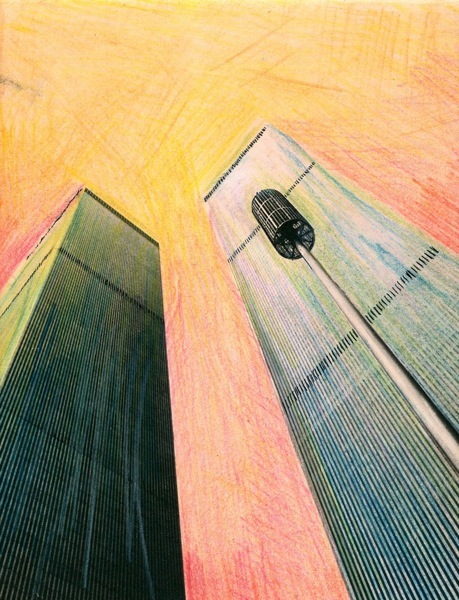 Image credits: Howe Gelb by George Howard; Twin Towers by Cynthia Cusick.